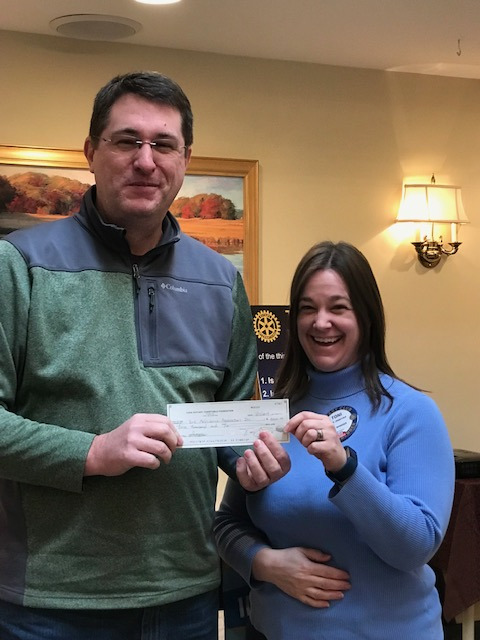 Yesterday, at the January 18th, 2019 York Rotary Meeting we had the pleasure from hearing an update from Eric Baaker of the York Ambulance Association with regards to their capital campaign. Eric reminded us of all the good things that this organization does for our community. At the conclusion of his presentation, Toni Joerres, York Rotary Club's President presented the organization with a donation of $3,000.00. Thank you York Ambulance Association!